Originally from Laramie, Wyoming Dr. E. Glenn Clark worked his way through TCU then Baylor Dental College where he earned his Doctorate of Dental Surgery. 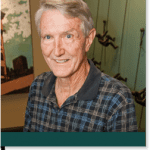 Graduating in 1970, he came to Cedar Hill, setting up his practice in the old bank building on the city square before moving to its current location where he has remained serving his patients from Cedar Hill and the surrounding area. Many of these patients are third and fourth generation, and several have been patients for over 40 years. Dr. Clark strives to treat his patient as if they were guests in his home. Dr. Clark is an avid reader of dental and medical literature. 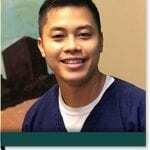 His love of offering comprehensive dentistry has led him to attend many hours of continuing education in order to gain knowledge about all phases of dentistry. Dr. Clark’s goal is to do whatever is necessary to ensure his patients keep their teeth healthy and beautiful for a lifetime through quality dentistry in a small town setting. Dr. Clark’s greatest joy is being able to practice dentistry with his son Dr. Brian Clark. When not at the dental office you can usually find Dr. Clark at his cattle ranch in Bowie, Texas. Growing up in Cedar Hill, Texas, Dr. Brian Clark always wanted to be a dentist. Seeing the difference his father, Dr. Glenn Clark, made in patients’ lives made him realize how rewarding working in the healthcare field could be. Dr. Clark attended Texas Christian University for his undergraduate education and Baylor College of Dentistry for his Doctorate of Dental Surgery. To stay on the cutting-edge of dental technology, Dr. Clark takes multiple hours of courses each year in dental implants, conscious sedation, endodontics, and cosmetic dentistry. He loves being able to improve patients’ quality of life by improving their smile or improving their ability to function. Dr. Clark and his wife, Shelly, have been happily married for the past 18 years. They have two sons, Brian and Charlie, as well as a daughter, Rachel, and a Golden retriever named Scotty. When he’s not in the office, Dr. Clark enjoys spending time with and traveling with his family, playing golf, and being involved with his church. He is active with the Cedar Hill Chamber of Commerce as a past president and Man of the Year. 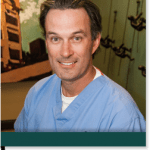 Dr. Charles Ean was born in Houston, Texas and grew up in a very close-knit family. Dr. Ean was raised by his parents and maternal grandmother, he is the oldest child of three. When Dr. Ean was in high school his parents bought and moved to a large property in a small town near Houston and began cattle ranching. During these years growing up and working on the farm Dr. Ean learned to appreciate the value of hard work. He developed a love for small town community and gained great satisfaction when building and creating with his hands. Dr. Ean graduated near the top of his high school class and received several college scholarships. When attending Sam Houston State University he was placed on the Dean’s List. He went on to receive a Masters of Science in Nursing as a Family Nurse Practitioner from the University of Texas in Tyler. While studying nursing he worked as an orthodontic lab technician. The orthodontist he worked for saw a talent and skill in him and he encouraged Dr. Ean to pursue a career in dentistry. Dr. Ean attended University of Oklahoma College of Dentistry for his Doctorate of Dental Surgery. endodontics, and TMJ disorders. He also attends courses and seminars to ensure he is up to date on the most current dental technology and procedures. Dr. Ean’s hard work ethic and family values are what drives him to provide the most top quality care for all of his patients. Dr. Ean met his wife Kara in high school and they live in Midlothian with their three daughters and one son. Dr. Ean enjoys spending time with his family and friends, playing softball and is an active member of his church. 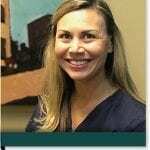 Dr. Heather Magers was born in Little Rock, Arkansas and moved to Denton, Texas as a young girl. Growing up with a dental hygienist as a mother is what inspired Dr Magers to pursue dentistry. She attended the University of North Texas where she received her Bachelor of Science degree in 2003, She then continued on to attend the University of Texas School of Dentistry in San Antonio where she obtained her Doctor of Dental Surgery in 2007. Dr. Magers stays up to date with the new developments in dentistry and is an active member with the American Dental Association and Texas Dental Association. Dr. Magers has a passion for dentistry and her goal is to provide high-quality dental care for her patients in a fun and friendly environment. Dr Magers and her husband David reside on a small farm in Grandview with their two girls, Abigail and Allie, and son Zane. When Dr Magers is not practicing dentistry she enjoys camping, four-wheeling, wake boarding, feeding the cows, spending time with her husband, and being wrapped around her kids fingers.